Clematis Prince William has been specially selected for its remarkable and unique colour combination. 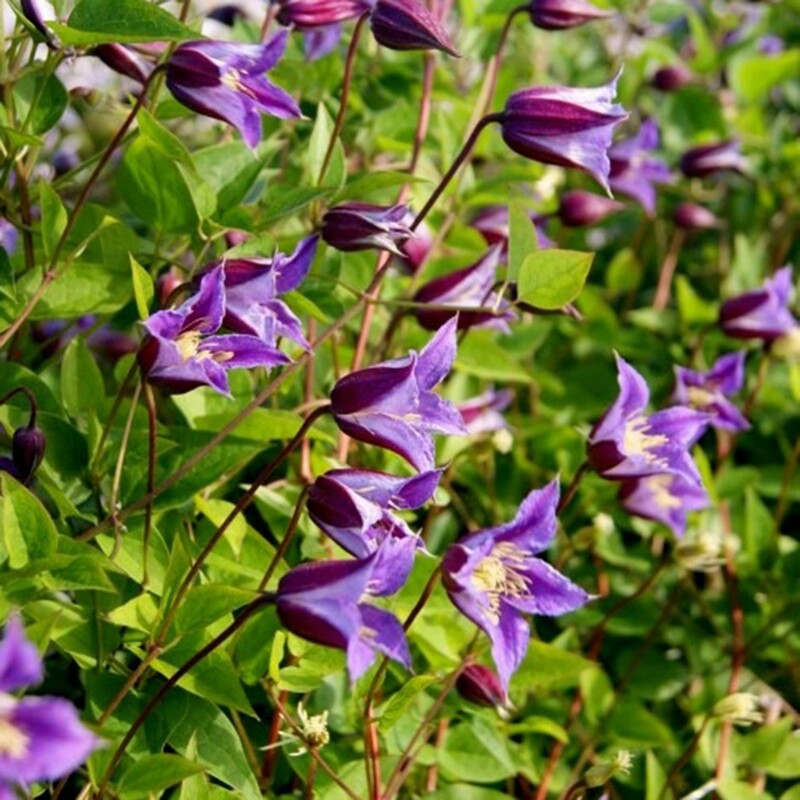 Prince William is a hardy Clematis variety with stems climbing to heights of around 3m long. Each bloom consists of various shades of violet-purple, with dark red-purple markings and a violet margin on the outside petals. The flower exhibits a tulip-shape but opens and flattens out somewhat as the bloom ages. A prolific summer flowering Clematis variety, Prince William is of course named in honour of this popular British Royal. In the garden blooms can be expected from June into September. It is easy to care for, simply requiring a hard prune once a year to around 20cms above soil level each March, thus maintaining a compact and beautifully flowering plant every year. Supplied in approx 2 litre containers.